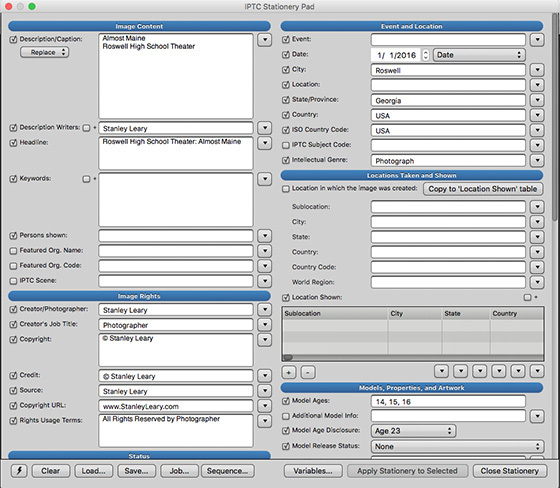 This is Nikon’s IPTC Preset Manager application that you put onto your computer and fill out and then embed into every photo you shoot on your Nikon D4 Camera. 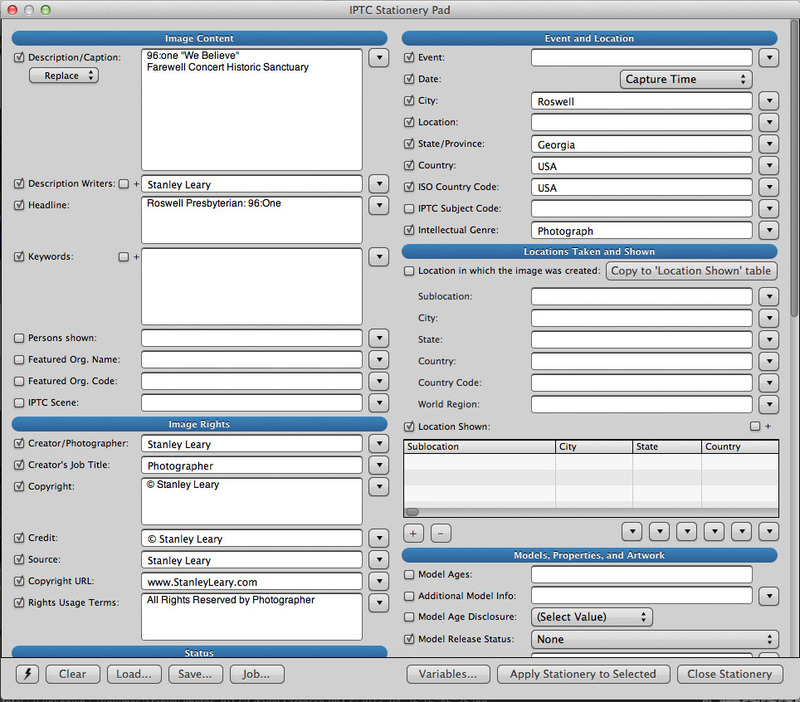 Now compared to the PhotoMechanic fields there are not as many, but you are able to embed these into each photo as you shoot. 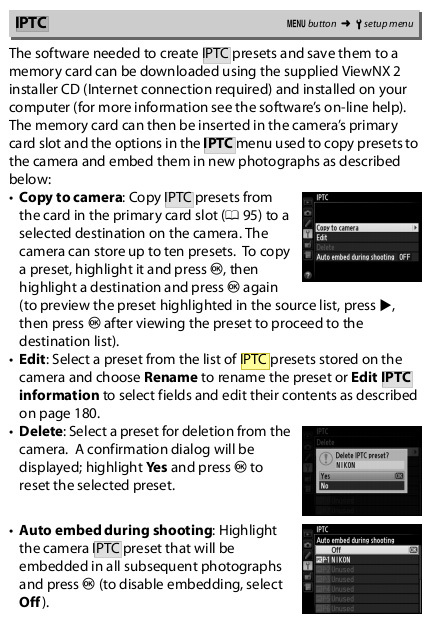 IPTC Preset Manager is used to enter IPTC presets for cameras that embed IPTC information. 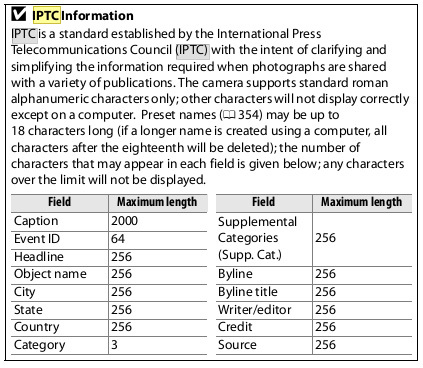 “IPTC” stands for “International Press Telecommunications Council”. The really cool thing I discovered with my Nikon D4 was it has built-in support for 14 of the more important IPTC fields. You can save 10 Presets of these. For those assignments when you need to be sure all the photos are identified with some basic information this is a great way to do this as you shoot. 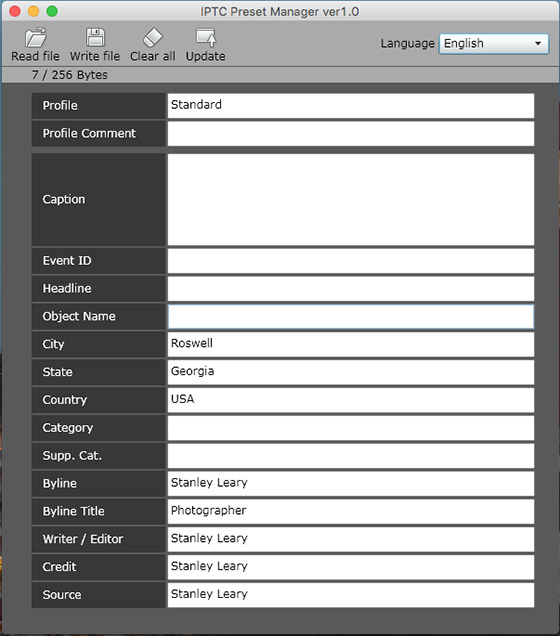 Now all the photos have your information in each photo as you shoot. 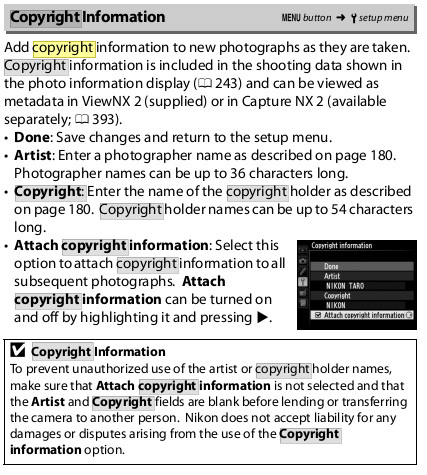 I also recommend setting your copyright information on your camera as well. This way every photo has your name set as the copyright holder.